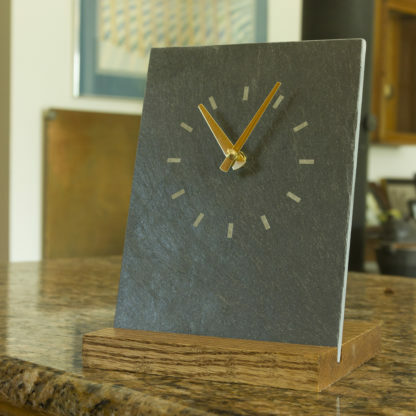 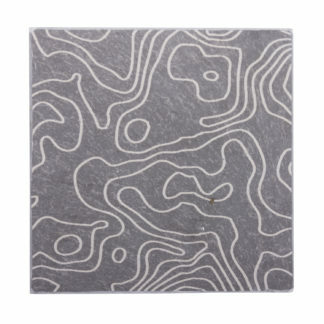 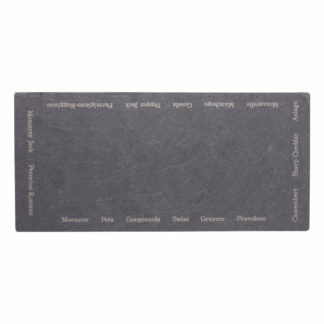 Clock – River Slate Co. 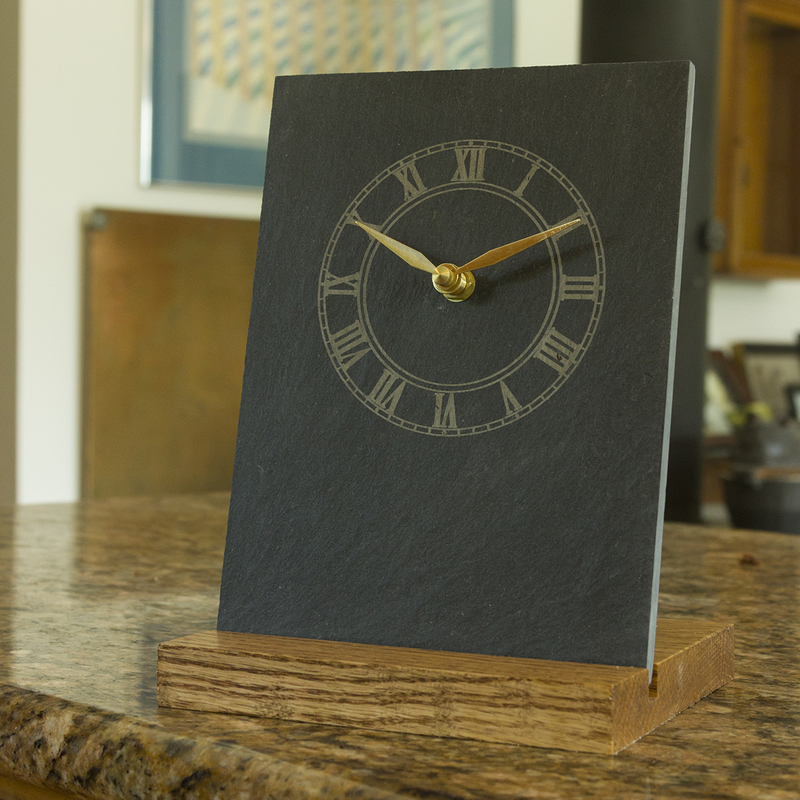 Clock face engraved on our Vermont slate on an oak base. 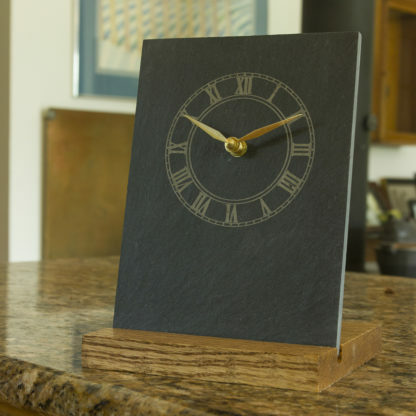 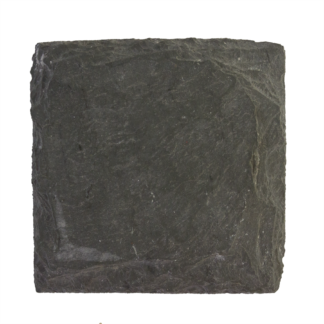 Choice of a Modern or Roman style clock face on grey or black slate. 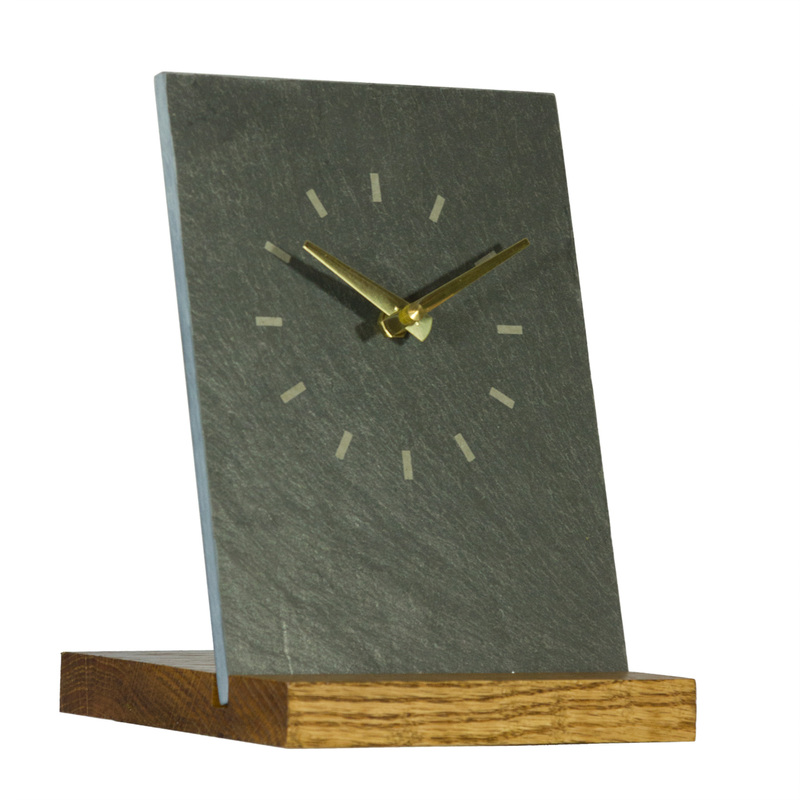 The hands are brass and the oak base has a satin finish. The clock measures 7.75″ tall and 5.75″ wide. The oak base is 5.5″ L x 5.75″ W x .75″ H.
Clock runs on one AA battery (included). It is also possible to hang the clock on a wall.